Blaze Wear turned to Macfarlane Packaging to discuss their requirements, and in response Macfarlane invited them to visit their Innovation Lab. 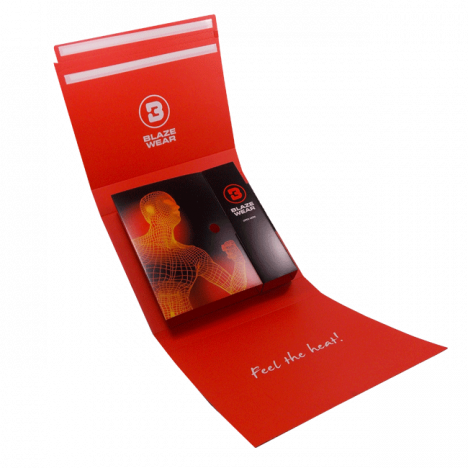 Blaze Wear, an online retailer of high end and cutting edge heated wear, was looking for an eCommerce packaging range suitable for shipping their products in the UK and abroad. The company was not satisfied with their existing packaging and was interested in new solutions that would reflect the value of their products and improve customer experience with their brand. Blaze Wear turned to Macfarlane Packaging, among other carton manufacturers, to discuss their requirements, and in response Macfarlane invited them to visit their Innovation Lab. During the visit, Macfarlane was able to propose ideas, provide samples and offer prices – all on the same day, significantly accelerating the design and production process, from approving the concept to ensuring stock availability. 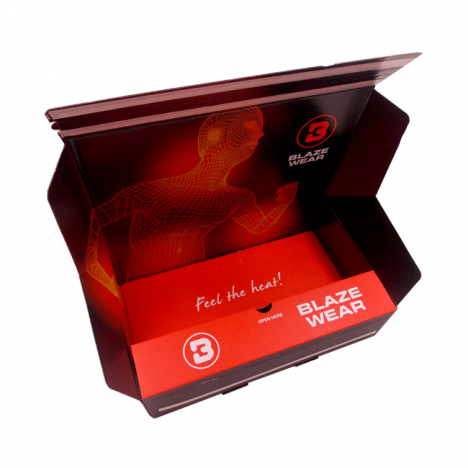 Blaze Wear was very pleased with the solution and the new eCommerce box range was manufactured ready for their website launch in September 2017. They are delighted with the outcome and the packs enhance customer unboxing experience.